What amount of time do you spend focusing on what you should not be doing? I saw a quotation one time, it read, “90% of being a successful entrepreneur is knowing what not to do”. This stuck with me over the years and I think about it on a daily basis. There are 3 perspectives to each action. They are, I should not be doing this, I should be doing this, or it really doesn’t matter that I am doing this. The 3rd one can end up having an unhealthy influence on our success. Everything matters! 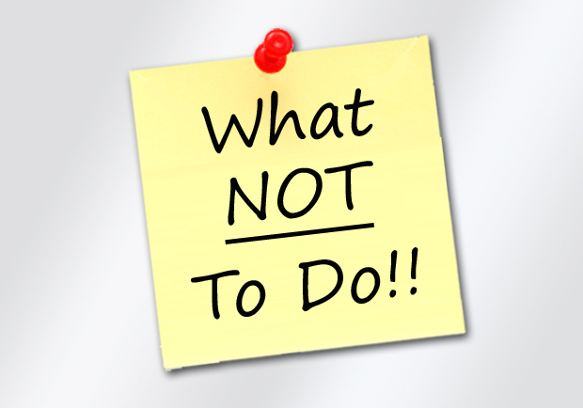 There are 3 key areas in knowing what not to do. How do you decide? You can’t decide unless you have core values. Core values are just that, CORE. They are the filter for making all decisions. Core values are not aspirational values, they must already exist within the person, group, or organization. Using core values in our company enables fluid effective decision making in our process of deciding what not to do. There is much less trial and error. We can quickly move past new ideas or opportunities that do not match our core values, enabling us to focus on ideas and opportunities that can be accomplished through our core values. Next time you are standing at a fork in the road, instead of wondering what you should do, take some time to first cross off the list what you shouldn’t do. Keep doing that and you will be left with what you should do.